Christie is set to launch the Christie FHQ552-T, Christie FHQ842-T and Christie FHQ981-L flat panels. Previewed at InfoComm 2015, the three panels are designed for meeting rooms, offices, lobbies and architectural displays, and can be banded with Christie Brio, Christie Spyder and the Christie Pandoras Box media server. The Christie FHQ552-T features 10-point touch capabilities, built-in speakers and an Open Pluggable Specification (OPS) slot. The Christie FHQ842-T will replacing the FHQ841-T - an 84-inch display, meant for large-format presentation and collaboration applications. With built-in 10-point multi-touch capability, the Christie FHQ842-T can be used in interactive applications or whiteboard and meeting room scenarios. The Christie FHQ981-L 98-inch flat panel is geared toward business, education, houses of worship, small control rooms and digital signage applications. 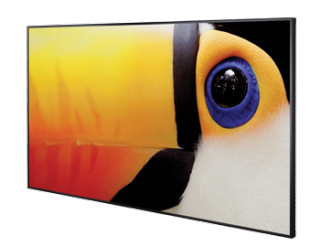 It provides an alternative to traditional 2 x 2 tiled 46-inch displays. The FHQ981-L is equipped with built-in speakers, multi-window capability, along with an OPS slot for compatibility with digital signage devices and pluggable media players.